Allan Rodrigues de Souza looks to be on the move again as he continues to wait for his chance on Merseyside. Issues gaining a work permit mean the midfielder is yet to make an appearance for Liverpool since signing for the club from Internacional in summer 2015. The Brazilian signed an extension at Anfield last summer before sealing a season-long loan move to Eintracht Frankfurt. He has since managed just four appearances across all competitions with the German club having been sidelined with knee ligament damage for much of the season. Rio de Janeiro-based Fox Sports reporter Fabio Azevedo claims Allan is now set for a move to Brazilian top-flight side Fluminense. 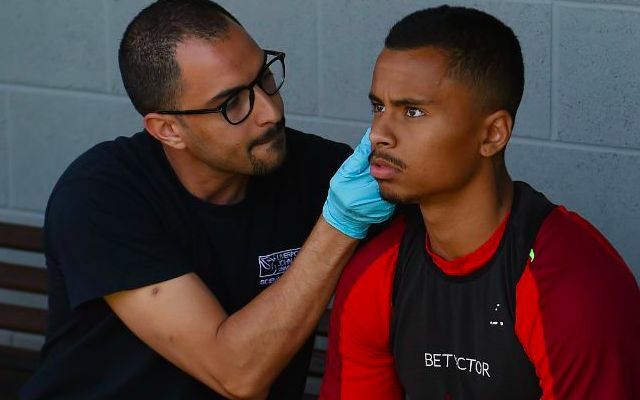 This will take his number of loan spells to a total of six in around three-and-a-half years, following on from stints with Finish side SJK Seinäjoki, Belgian side Sint-Truiden, Hertha Berlin of Germany, Cypriot outfit Apollon Limassol and, most recently, Eintracht. Besides a lengthy wait for the ability to play in England, injuries have also been a major disruption in his bid to secure regular senior football. It now remains to be seen whether the 21-year-old will ever get the opportunity to prove his worth in a Liverpool shirt.